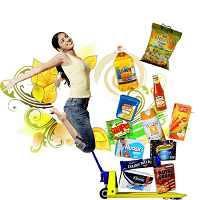 The FMCG sector continues to flourish with many Indian, multi-national and international companies in the business. The goods manufactured and sold are very diverse and so are the profiles, ranging from engineers and product developers to distributors, marketing professionals and quality control personnel. Having a keen understanding of the manpower requirements in this business from entry level to senior management, we are able to search and screen the candidates who are most-suitable for the position. We also assist the job seekers right from the pre-interview to the pre-joining process.